The other day I heard a radio interview with a man who buys art, relics, furniture, pews and just about anything else you can find in a church. Actually, that’s not really true. While some church buildings are torn down, many more are given another purpose — turned into apartments, office space, shops, or fitness halls. But yes, church buildings do close and some of them indeed never open again. This phenomenon is not unique to Holland. It is happening in many other countries as well. However, that doesn’t mean the church is disappearing. Christians know that the ”church’ does not consist of bricks and mortar, but is made up of Christians themselves. Together they form what the Bible calls a ‘body,’ the head of which is Jesus Christ. That church is alive and well. A friend and I were talking about this the other day: the fact that on the one hand many church buildings are closing, while on the other hand the church appears to keep growing. We concluded that Christianity, particularly evangelical Christianity, is alive and well in the Netherlands. But there has been a shift — one which took quite some time to gear up, and which is still gathering steam — from program-oriented gatherings to relationship-based involvement. People eventually get tired of that. They may be misled for a while, but in the end they realize their relationship with God is not improved by ‘prophecies’ of impending storms or stock market crashes; alleged visits by angels (all or not leaving ‘angel feathers,’ ‘gold dust,’ or ‘precious stones’ behind); or testimonies about alleged trips to heaven. Some people get so disillusioned that they end up ‘backsliding.’ But most Christians are discovering that you can ‘do’ church differently. Church is about relationships — our relationship to God, and our relationships with others. It is not about numbers or buildings or programs. Several years ago Janet and I started a house church — a church meeting in our home — because our health situations at the time prevented us from attending a ‘regular’ church. It turned out to be a tremendous blessing to ourselves and to others. The meetings have never been large. We have seldom had more than 10 people in our home, and more often than not we have met with just 2 or 3 people — and sometimes even just with one other person. 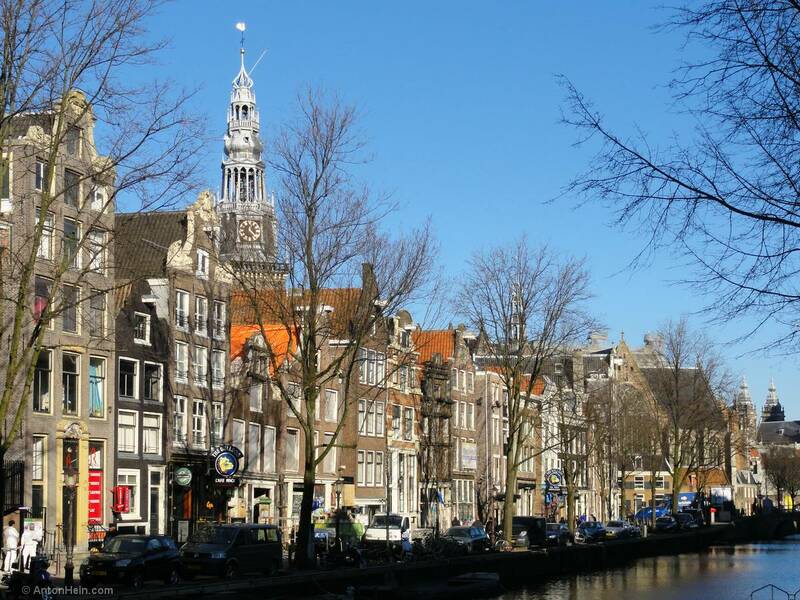 We have met with locals and with people from around the world — expats, Dutch natives, or folks merely passing through. Worship and a French Roast are on tap in Omaha. The meetings have always been special precisely because a small group allows us to have time for each other. We do not have structured meetings. Sometimes all we do is talk and pray. Often we read and discuss a portion of the Bible. We’ve had visitors who brought words of wisdom and insight, while others were in need of the same from us. Small groups are great for personal ministry. Large churches may have their ‘go-greet-or-hug-someone’ minute just before the announcements and the rest of the program, but that seldom satisfies anyone. Jesus ministered to large crowds, and there is nothing wrong with that. But he also said that where two or three are gathered in his name, he is in their midst. That is simply awesome! Over the years Janet and increasingly realized that church is wherever we are. We already knew that, of course, but it slowly and surely became part of our lifestyle. Fellowship happens whenever Christians get together — be it for a church service or for dinner at someone’s house. We sometimes have our church meetings on deck of a three-master ship anchored in the Amsterdam harbor. At other times we fellowship at, say, our favorite Irish pub. We’ve had church while sitting at an outdoor cafe, or while relaxing in Vondelpark. Meanwhile, think about it: church is everywhere, all the time. That realization will impact each meeting you have — be it at home or elsewhere. Look for opportunities to minister and to be ministered to.